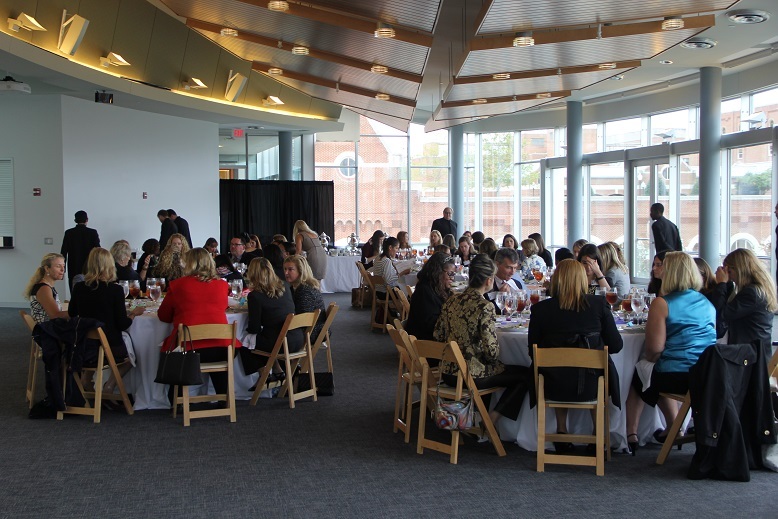 On October 15, the Washington Women’s Leadership Initiative (WWLI) and Georgetown University Women’s Leadership Initiative hosted a Luncheon event with Katharine Weymouth, former Publisher and CEO o f the Washington Post. Professor Catherine Tinsley introduced our luncheon speaker by discussing how increasing the ratio of female leaders at the top of organizations remains a challenge. There still are a paltry number of female top executives and female board members, and the numbers have increased only slightly over the past decade. These facts, in part, motivate the Georgetown University Women’s Leadership Initiative to invite successful female leaders so they may impart their stories and strategies for success, which can serve as inspiration for women at earlier stages in their careers. 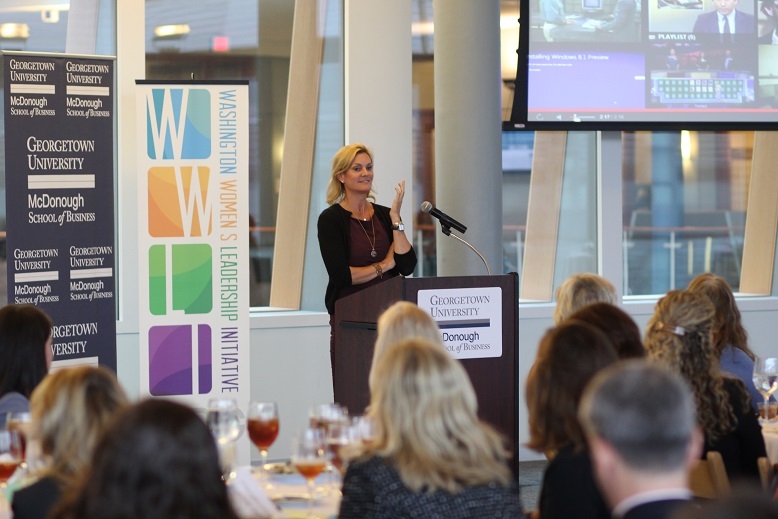 Katharine Weymouth offered attendees four leadership insights based on the challenges she faced as former CEO of the Washington Post, where strong competition in the online business pressured the company to reduce costs. Among the different lessons Weymouth shared with participants was the need of companies to put a strong emphasis in the search and retention of talent, with the goal of finding the better fit for a specific position in the company and then designing ways to promote the growth and development of their workforce. Moreover, with the phrase “What would you do if you were not afraid?” Weymouth encouraged attendees to take calculated risks, especially when competition and a constantly changing market environment force companies to reinvent themselves.